Join us as we spend the week on the Crow Wing River canoeing, camping, cooking, and building relationships with one another in the wilderness! This program is in cooperation with Pathways Outdoor Ministries and Shetek Lutheran Ministries, so you’ll spend the week with new friends from three different camps! The journey begins at Camp Emmaus for some high and low ropes, continues on the Crow Wing for the majority of the week, and concludes at Luther Crest for a day on Lake Carlos tubing and water skiing. Individual and/or group reservations are welcome! 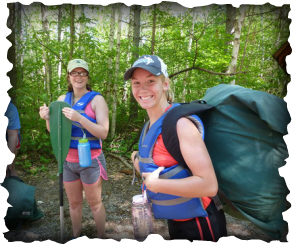 Paddle and portage through the Boundary Waters with the Luther Crest team! We will spend the week immersed in God’s great north woods while growing together in a Christ-centered community. We’ll cook delicious meals over a fire, take in beautiful scenery, fall asleep to the sounds of loons, and keep an eye out for bears, wolves, and moose. This program is in partnership with Voyageurs Lutheran Ministry and is a seven day experience from Saturday to Friday. The week begins at Luther Crest on the challenge courses and concludes back at Luther Crest after a week up north. Whether this is your first trip to the BWCAW or you’re returning, this will be an amazing experience with a new adventure with every portage. Stewardship. Leadership. Adventure. Mission. 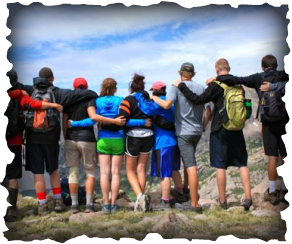 Join us on an unforgettable journey this summer to the mountains of Colorado for a week of backpacking and whitewater rafting. Witness God’s beautiful creation, explore how each of us are called to be a steward, develop your leadership skills, and grow together in faith! 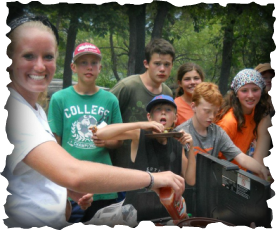 This program is in partnership with Rainbow Trail Lutheran Camp and is an eight-day experience from Saturday to Saturday.